A selection of pictures from some of our runs and events. 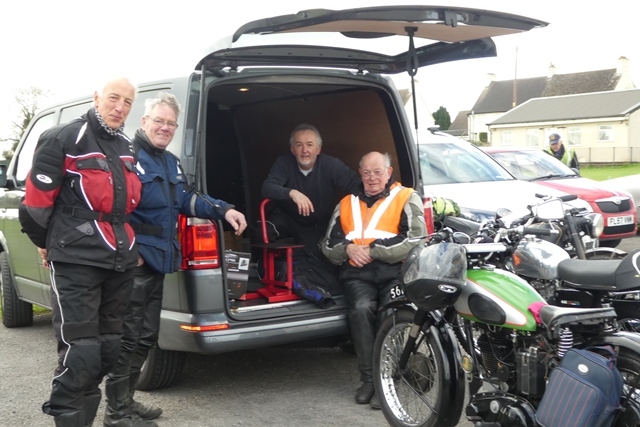 Brilliantly planned and navigated by Chris Delaney, the Section's entrants thoroughly enjoyed the 2017 Felix Burke Memorial Road Trial in fabulous weather. Another good turn out for October's Windmill Run - is it that time already! Fabulous weather and turn out for the Bluebell Run. Plenty of Bluebells too! There was a good turnout of North Cots boys at The Saundersfoot. The run itself was really good, held in bright sunny weather and took in some fantastic country roads on the Saturday. 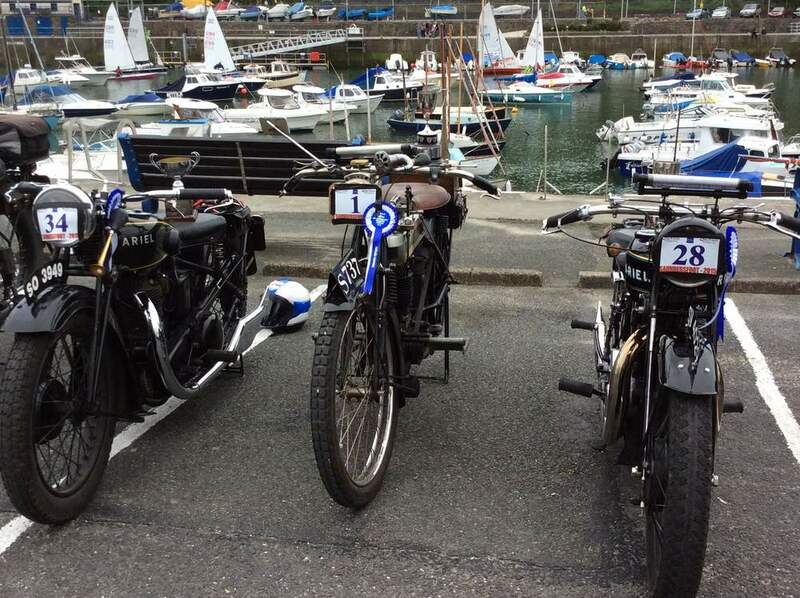 On Sunday we all reassemble in the harbour for a Concours event where three of us were lucky enough to win in our categories: Bob Ashwin's Campion for Veteran, Jeremy Main's Ariel Model E for Vintage and Rusty Hart's Ariel Model F for Post Vintage (even though it is not). 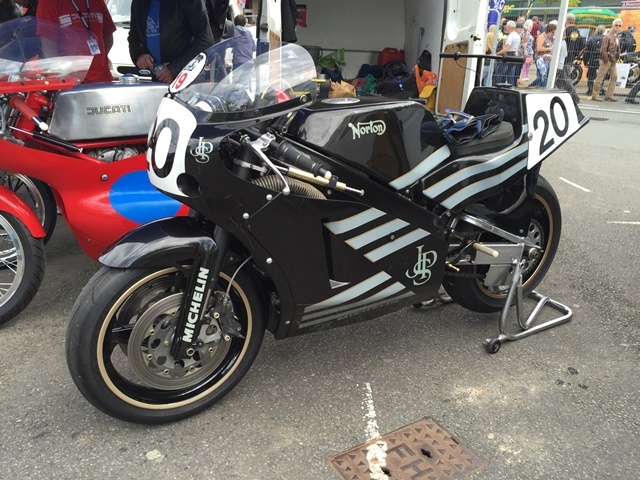 There was much to recommend the 2015 Brackley Festival of Motrocycling above. We had challenging conditions forour Golden Anniversary Run in July 2015 but the ride was great. 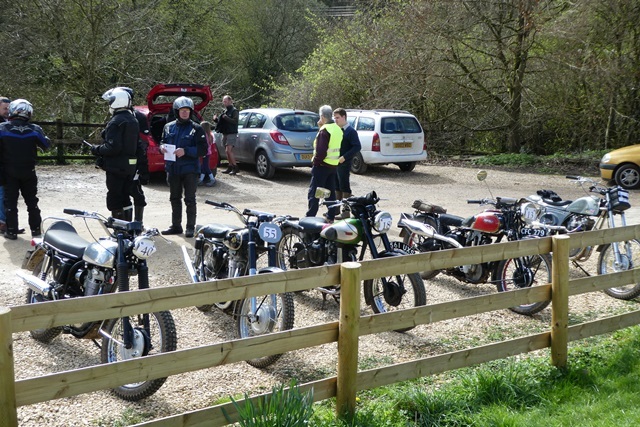 29 Bikes turned out for a sunny Wrinkley Run - July 2015. A good turnout at the 2015 Girder Fork Run with 12 girders and 2 rigid tele's. 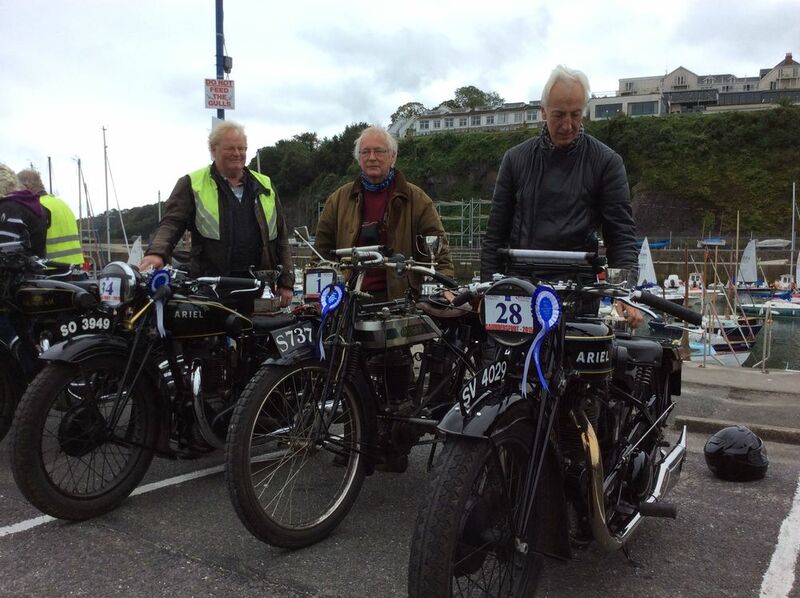 The other way of starting a 1924 AJS - Golden Ann' Run 2015. And a hearty lunch was had by the Thames at Lechlade. 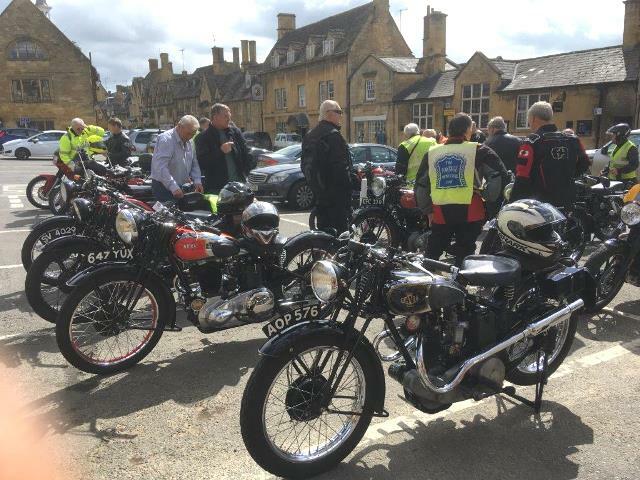 Our bikes looking the part alongside the historic trains at Toddington. Who's that bloke with Michael?